One of the most frequently asked questions about lung disease is also one of the most baffling: why do people with COPD experience shortness of breath despite a normal oxygen level reading? What is normal oxygen saturation? Because COPD seldom exists in a vacuum, we must look beyond the lungs to find the answer. Heart failure occurs when the heart is no longer able to pump a sufficient amount of blood through the body. Similar to COPD, people with heart failure can be somewhat stable, or they can experience exacerbations (periods of time when their symptoms worsen). There are many conditions that can lead to heart failure, the most predominant being coronary artery disease. How Does Heart Failure affect Oxygen Saturation? Rising from bed – getting dressed – taking a shower – going to work – we rely upon our skeletal muscles to perform all our daily activities. Skeletal muscles are found throughout the body. Their primary role is that of supporting the skeleton and voluntarily moving the bones. When our muscles are fit and well-conditioned, daily activities are a breeze; when our muscles fatigue easily from prolonged disuse, daily activities are far more challenging. How Do Skeletal Muscle Abnormalities affect Oxygen Saturation? When your muscles are called upon to perform any type of physical task, they have to work harder, which increases their demand for oxygen; this is why exerting yourself increases your heart rate and breathing. In contrast, calling upon weak muscles to perform physical activity requires much more effort, leading to greater fatigue and breathlessness, more so than if your muscles were fit. Take, for example, climbing 3 flights of stairs; even if you’re moderately active, you’re likely to experience some degree of breathlessness by the time you reach the top. Now imagine your muscles are extremely weak from inactivity; simply rising from a chair or walking across a room can lead to breathlessness. Talk to your health care provider for more information about enrolling in cardiopulmonary rehab. If you’re ready to start an exercise program on your own, don’t miss reading: 11 Tips for Exercising with a Chronic Health Condition. 1Jelic, Sanja MD, Le Jemtel, Thierry H. MD. Diagnostic Usefulness of B-Type Natriuretic Peptide and Functional Consequences of Muscle Alterations in COPD and Chronic Heart Failure. CHEST 2006; 130;1220-1230. DOI 10.1378/chest.130.4.1220. 2Sunita Mathur, Dina Brooks, and Celso R. F. Carvalho. Structural alterations of skeletal muscle in COPD. Front Physiol. 2014; 5: 104. Published online Mar 19, 2014. doi: 10.3389/fphys.2014.00104. 3Jelic, Sanja MD, Le Jemtel, Thierry H. MD. Diagnostic Usefulness of B-Type Natriuretic Peptide and Functional Consequences of Muscle Alterations in COPD and Chronic Heart Failure. CHEST 2006; 130;1220-1230. DOI 10.1378/chest.130.4.1220. Now I know what is causing my problem. Out of breathe with a normal oxygen level. My new doctor has taken me off oxygen but I am still having chest pain and shortness of breath. Oxygen level is normal. my other 2 doctors no longer take Humana. Very Informative answered a lot of my questions Thanks. Much of the breathlessness is due to hyperventilation – good report. HOW DO YOU CONTROL THE HYPER TO STOP SO YOU CAN MOVE AND BE ABLE TO BREATH NORMAL? I am 58 years old and was diagnosed with asthma at 30 and COPD at 40. I have had phenomena 7 times. Just recently I was having a hard time breathing and my husband called 911. I was taken to the hospital and my oxygen level was 98. Blood test showinfection. Doctor mentioned he thought my kidney might be swollen and pressing on my lung. Well 4 days later I go to urgent care and doctor said my lungs were very congested and put me on antibiotics and steroids. The ER doctor says why do I think I am having a hard time breathing. Hmm… Some what silly question. Anyways a couple weeks before this I was coughing a lot during the day and at night and it wasn't productive. Well 4 days later I go to urgent care and doctor said my lungs were very congested and put me on antibiotics and steroids. My concern is on and off I have been had shortness of breath and I want to start excersising strength training and walking on tread mill. I see my pulmonary doctor next week and I want to ask him about pulmonary rehab. Do you think that is a good idea? good information I have DDD as well as lung damage due to a serious chemical spill at a summer job when I was just 28 now at 66 finding out at 50 that I had 50% lung damage but no lung disease. all doctors treatments were for lung diseases giving me all the inhalers and treatments for lung disease, ending up with a bad case of total body osteoporosis, arthritis too. Yet when I took Morphine I could breathe better and walk. due to the DEA going after chronic pain patients scarring off all doctors who prescribe Opiate Therapy with 25 yrs. to life which one doctor here in KS which was reversed in a higher court. However now I am a shut in and without care for my illness and I am racked in pain. I do have an oxygen machine which I use most of my day and night only allowing a few hours a day to let my lungs work themselves using the breathing exercises as well as breathing via my nose as I go to the kitchen barefooted. Cathy, I can in no way help you, but I want you to know how sad I am that you are in this situation. It must be terrible and I wish I could help. I am so sorry, I wish you all the best and hope things improve for you. Awesome information! I thought my DH was crazy but now I am going to call his Cardiologist! Thank you! This helped me immensely. I had my DH take slow deep breaths and it stopped his panic attack and shortness of breath. Also, he is now willing to try going back to his Physical Therapy! I want to point out perhaps the main point of the article. It distinguishes plain old 'exercise' from strength training, which is different. If you go to cardiac rehab, as I did, they address cardio exercise (basically on a treadmill) and a few minutes wrap up of weights for arms. The strength workout is not part of the exit interview wrap up, and it's easy to lose sight of the strength training necessity and concentrate on the cardio in the workout. When I discussed exercise with my cardiologist, one of the finest in the city, he talked about walking three miles a day and nothing about strength training. I had increasing breathlessness even though the doc assured me that I had 100% heart function, and two weeks ago had a second heart attack with the subsequent placement of two stents and a consequent stroke (from plaque breaking off during the procedure) and during the recovery from the stroke I saw how weak I had become from not addressing the need for strength training. I don't know if it was the cause of my breathlessness but it sure interfered with my recovery. I am adding it back in as soon as they clear me to exercise. Hi Janet, Thank you for your incredible insight. We wish you the best and hope you have a speedy recovery! Thanks for the informative response to our " out of breath" condition after very little movement. I too have a compromised heart from a thyroid storm in my 30's. It didn't show up until I went into high altitude and went into heart failure big time when on vacation in my 60's, which brought all this to a head. I'm sure that as I grew older and had an office job, I lost muscle and became weaker which added to my weak heart. My EF got as low as 18%. With proper nutrition, muscle strengthening , exercise and loosing weight I have improved the EF to up in the 40% range. I also have developed Emphysema. I'm on oxygen 24/7 if I have to be moving. I can set or sleep with out it but that's the only time. And by night time when I'm tired any activity even with oxygen is much worse, it will get down in the low 70's. I was diagnosed of Chronic Obstructive Pulmonary Disease (COPD) in 2012 at the age of 63. I had been a heavy smoker, my symptoms started out with dry cough and shortness of breath, I ended up in the hospital, on a ventilator. I should have known it was coming, but like most smokers, thought it would never happen to me. My COPD got significantly worse and unbearable because of my difficulty catching breath. I am in the same boat…I think. I had a heart attack in March and since then, I have experienced shortness of breath, yet have a normal oxygen saturation. The funny thing that occurs(all the time), is that I have exactly 3 breaths in a row that are labored, then it goes away, until the next episode which can be any time. I would appreciate any insight anyone can give me. I just found this site. I started having shortness of breath this past summer though I've never smoked or had any other reason for it. My pulmonologist is very slow to return calls or help me and I've been having problems breathing all day. I'm on oxygen and have it turned to "4" but still hard to get a deep breath. I don't see how I could exercise because of all the back pain that I've had for years. Will I ever get better? I'm so scared. Thanks. Julian from Eugene, Oregon. I was diagnosed of Chronic Obstructive Pulmonary Disease (COPD) in 2012 at the age of 63. I had been a heavy smoker, my symptoms started out with dry cough and shortness of breath, i ended up in the hospital, on a ventilator. I should have known it was coming, but like most smokers, thought it would never happen to me. My COPD got significantly worse and unbearable because of my difficulty catching breath. Last year, i started on a natural COPD Herbal therapy from NewLife Herbal Clinic, i read a lot of positive reviews from patients who used the treatment and i immediately started on it. I had great relief with this herbal treatment. I breath very much better now, no case of shortness of breath or chest tightness since treatment, my lungs condition is totally reversed. Visit NewLife Herbal Clinic website ww w. newlifeherbalclinic. com. This treatment is a miracle!! I am in Stage 4 COPD, 20% lung function. Oxygen level is usually between 92-96, but heart rate is always above 100. Has been as high as 150, but usually in the 120's. My heart dr says my heart is fine. When my heart rate is high I put my oxygen on and it goes down? Should I be worried about this?? Also, I find it hard to exercise due to my breathing problems. Hi Violet, Are you using your oxygen therapy device as prescribed or are you only using oxygen when your heart rate is high? 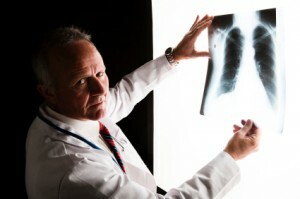 Typically doctors prescribe Stage 4 COPD patients oxygen 24/7. If you are not using your oxygen concentrator all the time, that may explain why your heart rate is going up. It would signal that your heart is working harder to keep your organs (including your lungs) functioning. I have been experiencing shortness of breath on exertion. I’m a long time smoker, female, 5 feet 7 inches and 130 pounds. My oxygen level is usually between 94 and 98, and my heart rate between 47 and rarely over 80. My chest x-ray, PFT, cardio stress test were all normal. Any ideas? Should I go for a second opinion on the PFT? Hi Sharon, Please consult your primary care doctor for next steps. may be your coronary arteries not supplying enough oxygen to your heart. this also causes shortness of breath. Ask your doctor for a stress test or a referral to a cardiologist. sorry, now i see that you had a stress test. Still there are many other tests that a cardiologist can order to determine the cause of your shortness of breath. quit smoking 17 years ago. cant breathe well without oxy..scared. dr says i have copd cardio dr put me in the hospital 4 days, am i doomed. also sleep with oxy although it comes off at night with no probs.. I have sleep apnea but cannot use the machine, I am 67 years old and have very low oxygen levels my current doctor feels I was never properly treated for my asthma. He prescribed home and travel oxygen machines which I use daily except the travel one. When I go to the doctor they have me blow into this tube twice, and take the number which she told me was 45. (It was 38 last visit) Is this my actual oxygen level?? Any help will be appreciated . I have stage 4 emphasima on 02 24/7 and my FEV 1 is 29%. close to 40 mins! I kept myself very quiet to conserve whatever 02 i had stored in my body, but I sure felt bad. and no appetite. so how many brain cells did I wipe out??. Seriously, I would like to know how much damage could be done. Hanks for anything you can share with me. I am very severe stage 4 COPD /w asthma . Diagnosed 12 years ago but have had it much longer. Oxygen, 24/7 3 LPM @ rest up to 6 LPM on exertion nebulizer meds, pulmonary rehab. Do you think there will come a time when your POC will work for my needs? As it stands I have to use a oxygen back w/ tanks for walking ourtside. Concentrator at home and a E tank in the car for travel. My D tanks only last an hour so you can imagine how may I have to carry to go anywhere. Thank you for any information. Just wishing the technology would advance in my lifetime. Hi Valerei, The Inogen One G2 has flow settings from 1-6 and the Inogen One G3 has flow settings from 1-5. To determine whether or not one of these products may be right for you, please call an Oxygen Specialist at 1-800-374-9038. My mother is on hospice with Stage 4 COPD. We are constantly monitoring her O2 levels with her pulse oximeter and it stays in the mid to high 90s with 3 liters of O2, or even 2.5. I noticed the hospice nurse is monitoring her BP daily. Her heart rate also stays between 112-120 depending on when she's doing a nebulizer treatment. She struggles to breathe and we could not figure out why with levels so high. This helps us understand that it is most likely her heart. We can hear fluid as well. Sadly, not much left for her to do about it. Praying for everyone else! I have COPD. for five years using a tank for a year. I built strength, balance , energy, and felt and looked better in the first week, then a half years I was strong and could do 80 % of the things I did before COPD. The therapist would tell us excercise is like putting gas into an empty gas tank. We have to continue the exercise always for most will do 3 to 4 time a week. We can take the the wonderful change in health and in time slow down on the exercise and eventually become weak and COPD is controlling us again. It happens to most people, me as well after two years of physio, I thought I'm good now so I got to busy. After a few months, I got infections every few months for a year, taking weeks to recover and finally another six months, I felt like I was walking under water, my heart pounded terribly, I thought at times I was going to have a heart attack. I wake up from sleep, heart bounding and trying to breath. I am waiting to start over again. My oxygen level was 94, my regular levels showed normal. I had a echo done today and have a carido consultation in two weeks. I am now drinking vegetables containing vitamin A.
I have also been drinking a glass of water with a 1/4 spoon of Harm & hammer baking soda, it helps remove the heavy pressure off your chest, that feels like an elephant is sitting on you. This brand has no lead in it. Drink it every day or every second day or as often as you feel. Is it possible to have COPD with a normal lung function, no bronchodilator response, normal chest xray/high resolution chest ct? Is it possible to have heart failure/coronary artery disease with a normal stress echo? Is it possible to have pulmonary hypertension with a normal tricuspid valve pressure? Hi Deb, Thank you for the great questions! For your COPD question, it is possible to have stage 1 COPD and still feel like you have normal lung functionality. Depending on the severity of your COPD at this stage you may or may not have a normal chest xray and no response to bronchodilators. That being said, more often than not, your doctor will see something abnormal at this stage. Echochardiographs are very reliable. A normal stress echo indicates that your heart is working properly and that your blood vessels are most likely not blocked due to coronary artery disease. Having pulmonary hypertension puts you at risk for tricuspid valve regurgitation but they are separate diseases so you could have one but not have the other. There are several risk factors for tricuspid valve regurgitation including heart failure, heart disease, and certain medications. very informative thank you. I too wonder how stage 3 copd could have great saturations and horribly short of breath, fatigue, headaches and chest crushing all the time. This is very nice to read it is normal for us who have copd. I am in copd group and the exercise and education is wonderful. I have chronic shortness of breath, with an elevated (for me) heart rate of 105-120 when walking or sitting, 80 when lying down. All of my x-rays, ct scans, spirometry tests, and blood work have repeatedly come back "norma". My blood oxygen sat is always 95-100% and my blood glucose around 80. Any suggestions? Oh.. I lift weights and get in about 60 minutes of activity, run and walk about 15,000 steps. I suggest you bring this up to your doctor for medical advice. I suggest following your doctor's advice and discussing it with him/her if you feel the level should be increased. My mom is 89 . Recent doctor visit: Heart rate is 71 bpm. Her Respiration rate is 18 and her Ox Sat is 98% , yet she is short of breath a lot! She sits all day every day and watches tv. She weighs 128 lbs. 130/80 blood pressure . She takes Sertraline 100m 2 x a day , Cephalexin 500 3x & Lorazepam (1 m before bed), Atorvastatin Calcium 20 m daily. When she fasted, everything they test for was normal. Please can you give me your opinion and what we can do. ie exercise, etc. My mom has no real health problems, does get some anxiety but who doesn't. i have some light weights and I think she needs to start moving NOW…you tell me! Should I get oxygen?? Thank you for reaching out. Your mother should discuss supplemental oxygen with her primary care physicians to determine if it would be beneficial for her. As far as light weights and movement, that sounds like a good idea. Best wishes! My husband had open heart surgery 5 months ago. Since his surgery, he has had shortness of breath, but they insist his oxygenation level is normal. When he emerged from surgery, he could walk, talk, and do therapy. In this short amount of time, it is all he can do to walk from one room to another. He is unable to do therapy, and doctors are not encouraging it. They have since implanted two different pacemakers and miriads of medications. What should I do? I feel like, if something is not done soon, he will die. I am sorry to hear about your husband's health issues. I am not a trained medical professional and suggest you continue to seek the advice of one. Best wishes for a healthy recovery for your husband. Wishing you the best. I am 64, I have asthma and COPD and now restrictive lung disease. I am at 20% diaphram function and 30% lung function. It is Neurologic and Sarcoidosis related. I have been using a non invasive ventilator at night for 2 years and now use part time during the day. I get short of breath doing anything and it limits me to do nothing. Lately when I stand to transfer from wheelchair to another chair I get dizzy and my pulse rate above 100 and my oxygen plummets down from 97 to 90 in a short time. I have to sit back down as I am short of breath at the same time. Does this mean that I need oxygen added to this or that I need to use the respirator more? My blood pressure is fine so it is not orthostatic. Any thoughts? Thank you for sharing your comments and concerns. I suggest you speak to a pulmonologist and address these symptoms to him/her. Take care and best of luck. Should I call my cardiologist to be checked. We are sorry to hear you are not feeling well and out of breath. We suggest you reach out to your cardiologist for further evaluation. Wishing you the best!